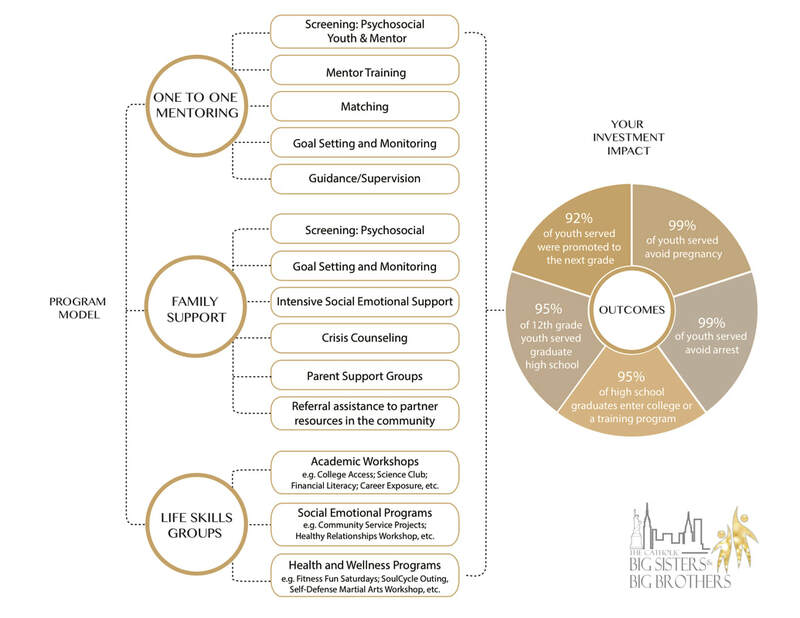 Founded in 1902, Bigs & Littles NYC Mentoring (formerly CBSBB) strives to transform the lives of children ​through one-to-one mentoring, while strengthening entire families in hardship. October Ball’s mission for 2018 is to clear the Bigs & Littles NYC waitlist, which has an average of 100 new children every year. 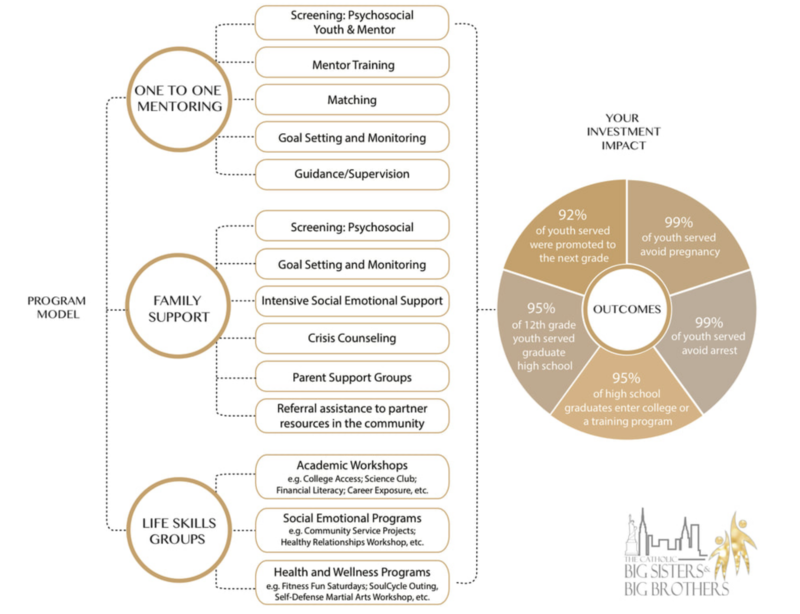 It costs $5,000 to support the match annually which directly enables CBSBB to give the child the opportunity to have access to a one to one mentoring relationship with a caring adult role model, professionally guided by a master’s level social worker in addition to life skills group and comprehensive family support. Visit bigslittlesnyc.org for more information. The Catholic Big Sisters & Big Brothers from Deidre Mahon. CBSBB's New Program Initiatives - Interfaith, Intergenerational, Newcomers, and World of Work Mentoring Programs from CBSBB. Ballgames, movies, shopping, and exploring New York City. These are a few of the outings our “Bigs” and “Littles” are sharing. Sound like a fun weekend? Then consider joining 125 other “Bigs” in CBSBB’s mentoring program. We’re young professionals looking to help high-potential youth achieve the future they deserve. In just a few hours a month, our mentor matches are shaping lives. “Littles” benefit from an active role model who shares brand new experiences. “Bigs” get an excuse to act like a kid again, helping influence a young person while seeing things through a different lens.